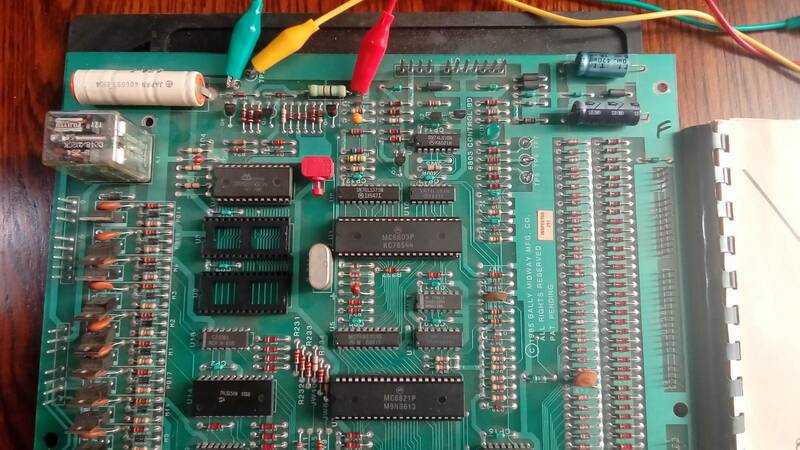 Beginner learning the basics of board repair, was given a 6803 board that looks almost new. The guy had pulled the reset switch and a few resisters off of it, i replaced all missing parts and installed it in my working pin and im not getting a led blink at all on power up. Using http://www.pinrepair.com/6803/ thread i checked U1 pins 4,5,6 which are suppose to be 5v but im at 3.8 on pin 5, pin 6 reading 5v so from what i read the reset should be working. I believe U1 eprom maybe bad as i also noticed it getting hot so i want to replace it before going to deep. When reading the numbers on the eproms how do i know what to get? Is there a guide in identifying roms replacements? 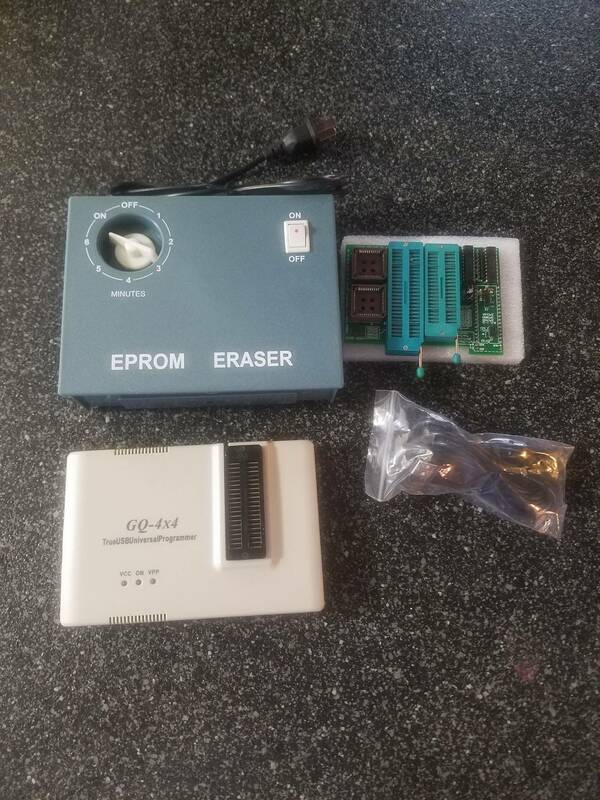 I recently bought a eprom reader/burner so looking to try it out updating some roms. Pull that battery off the bosrd. Yea i plan on it, i switched out with the cr2032 bat on my special force. Was wanting to get it working before doing to much modifications, does it need to be off for testing? Is there a link to buy the eproms/ roms? Cross refrence chart? I would figure it out by looking at the suffix and size of the rom images on the ipdb database, and then comparing the pinout learned from the datasheet of common roms to the schematics. try like a 27512 schematic. once you've figured out what you need; eprom shopping is weird, it's mostly old pulls. I like to roll with companies that cater to arcade nerds, you can always roll the dice with ebay too. Reach out to the guys who burn ROMs, they usually have Processors and PIA's. 6803 ranges from $5-$20 depending on who you buy it from. The 2 eproms on the MPU (U2 & U3) are 27128/27C128 or equivalent, and the sound eprom is a 27256/27C256 or equiv. You can use a larger eprom up to 27512 for all of these roms if you double/quadruple the rom image as necessary to fill the eprom. U1 is the 6803 processor which do go bad sometimes and replacements are available. ok, thanks i'm looking at a few places who sell them. Going to get them ordered and hopefully get the board going, if not i will be doing some more testing. I will try to keep things updated as i go along. What does the "C" mean in the numbers? Same numbers but with letter? Also isee they have them in different ns speed? Does it make a difference? The C stands for CMOS vs the non-C original eproms which are NMOS. The eproms are not identical but in this application they are equivalent and both types work fine. 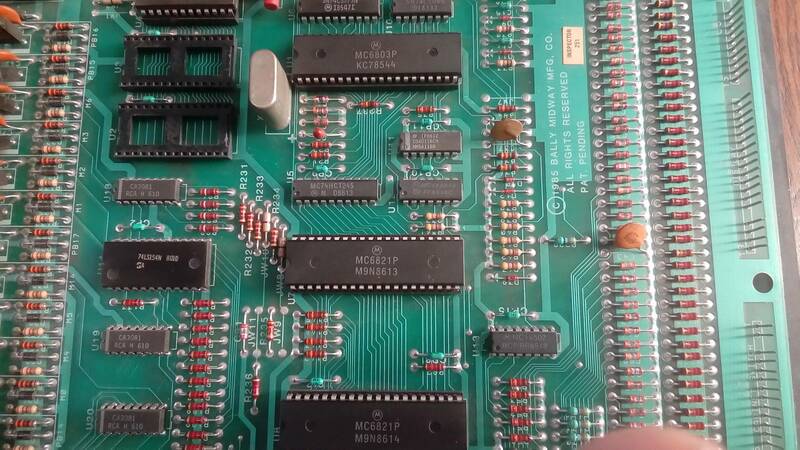 Most pinball and arcade games will work fine with CMOS eproms and they are more readily available. The ns/nanosecond speed usually only makes a difference if you get one that is too slow. When replacing an eprom you should use either the same speed as originally specified or faster, i.e. same or lower ns number. I checked the manual but I couldn't find a factory listing for eprom speed - just get the same or faster than what is currently installed. Thanks for the info i have been reading up, got in my new eprom reader/writer. Ordere 100+ eproms from www.epromman.com if anyone interseted in buying some. That's the exact same setup I have You won't need that 16bit adapter for pinball stuff but it's good to have in case you get into stuff like some arcade games or SNES stuff for example that uses those larger eproms. Good luck, you'll be making good eproms in no time!